Quickly shipped, great price, perfect. thank you. Just as described! Great price! Fast shipping! Thank you!!! Lightening FAST shippment; super pleased with transaction! Great eBayer here! Great price.Great service. AAA + Would buy from them again! Did not look new. Had to repackage since it was a gift. Box was no good. Didn't seem to know what their listing said about only one item, confusing. The picture is not representative of what you'll actually receive. I purposely ordered this variety pack because it showed several flavors I wanted to try. 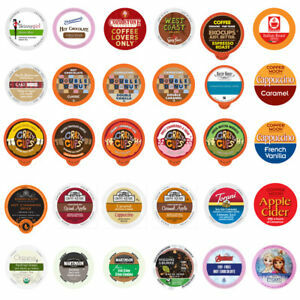 Very disappointed that only 13 of the pictured 30 were received and the other 17 are mostly coffees, not my favorite. With a red diagonal line in the picture was received. 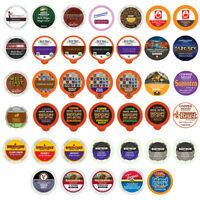 As a sampler I like the idea of trying different types of coffee, hot chocolate and tea. 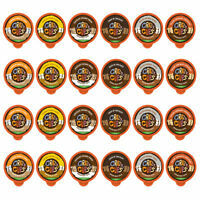 try this to find the flavors you may like instead buying a box of 12 without knowing if you will like it or not. I bought it for a gift and unfortunately the box was a mess. Could never give it to someone that way. Light weight, great buy. Good selection.